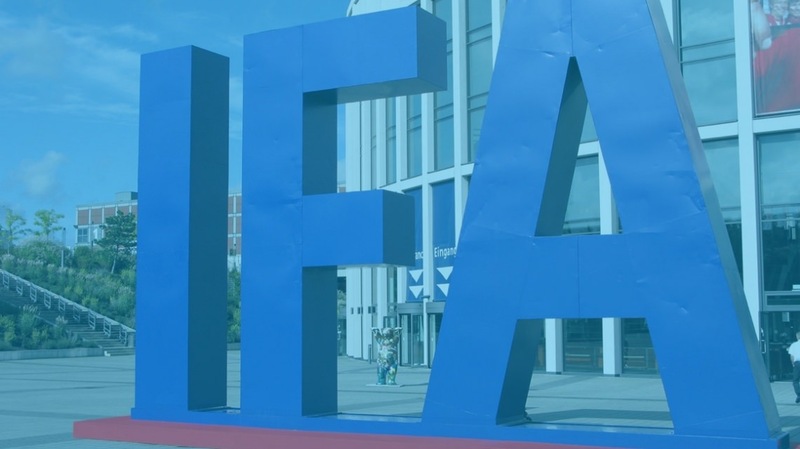 IFA 2014 is awash with wearables and we’ve been on the show floor to mop it all up. If you can stick it on your wrist, strap it to your face or run with it until you can run no more then we’ve found it, snapped it and put it on this page for you to see. Whether you’re interested in smartwatches, fitness bands or anything else, consider this your IFA 2014 wearable digest. It’s smooth, it’s subtle, it’s from the Android Wear stables and it’s got a lovely Italian leather strap. It’s the Asus ZenWatch. The square-faced, 1.63-inch AMOLED display may be nothing special but the curved glass in front of it creates an ‘almost 3D’ effect for which there’s over 100 dial styles to choose from. While the gubbins inside are nothing out of the ordinary, it really does look like a cracker and dead cheap one too with its proposed €199 price tag. Not too thick, not too clumsy and not too gadgety either. Let’s just hope it works properly. More details here on our Asus ZenWatch first look. Well, heavens above. The Moto 360 has only gone and turned up at IFA 2014. We have a price, a release date and even some hands-on experience. It’s set to arrive in early October for £199 on these British shores. That said, it’s not quite the piece of beauty that the promo videos and product shots had led us to believe. It’s nice but quite a lot chunkier than had been anticipated at a fairly hefty 11mm thick. What’s more, there’s also a small dead area of the screen right at the bottom; not the classiest touch in the world. Nonetheless, it comes with a Horween leather strap (yeah, we had to look that up too), a tastefully round 1.5-inch LCD and the hopes and dreams of a lot of wearable fans out there. Take a look at our Moto 360 first look for more. Sitting somewhere between an activity tracker and smartwatch, for looks and features, is the Sony SmartBand Talk. Its core intended purpose is as a fitness device with sensors, like an accelerometer and altimeter, to track your runs, walks and climbs. However, without GPS this isn’t positioned as a proper running watch. There’s a battery-saving 1.4-inch e-paper display and built-in voice controls which means you can make calls by talking into the band if you really want to. Lots of nice colours to come later in the year and the Sony Lifelog app on Android to collate all the data. You can find more of the specifics in our Sony SmartBand Talk first look review. Hot on the heels of the Sony SmartBand Talk, the Garmin Vivosmart offers users a combo of smartwatch and activity tracking features in one slick device. There are no calling features this time but there is a nice, curved OLED to help you get over that. It’s got all the same fitness features of the excellent Garmin Vivofit plus the kind of notifications you’d expect from a smartwatch too. You can swim with it, you only have to charge it once each week and it’s available later this month priced at $169. The Pulsense is Epson's more general fitness and well-being tracker aimed at less serious runners. Unlike the Garmin ones, though, it uses an optical sensor to measure your heart rate from your wrist. Like many trackers, it also keeps tabs on you while you sleep and includes a silent alarm to wake you at the right part of your sleep cycle when you're likely to feel most refreshed. Just to confuse you, there are two models - the PS-100 for £130 with a tiny slit of a screen and the £170 PS-500 with something more substantial. Yours for the taking come November. The Withings Activité is a wearable we know and love very well but IFA 2014 has been the first time the world has had a chance to get personal with this swishest of activity trackers. This Swiss-made classic has the same kind of functions as you’d find in a standard fitness band only present in a far more beautiful way. You can swim in it, sleep with it and never bother to charge it either. Ground-breaker, trend-setter; just you wait until it arrives in October. It won’t be cheap but not likely to be bettered for a while either. Take a glance at our Withings Activité first look review. It’s still Android Wear but the LG G Watch R looks fantastic. More like a Casio G-Shock than something made in Switzerland, it has a 1.3-inch plastic OLED screen mounted on a stainless steel case and all bound up in a leather strap. Inside, there’s the standard 1.2GHz Snapdragon processor, 4GB storage and 512MB RAM combo that all of these Google-based wearables seem to have but the point here is that it looks like a real watch, and a darned rugged one too. Definitely one to look out for. At the other end of the smartwatch spectrum is the Samsung Gear S which has to be the wearable star of the IFA 2014 trade show. It’s more like having a computer on your arm with no effort at subtlety whatsoever but that’s actually one of the things we like about it best. Its 2-inch, curved Super AMOLED display makes all the other smartwatches look pitiful and it even has Samsung’s own Tizen OS to help set it apart. There’s already app tie-ins with navigation specialist HERE and Nike+ too for all your running needs. It even has space for its own SIM card meaning that it’s not reliant on connecting to your smartphone either. Discover everything you need to know in our Samsung Gear S hands-on. As above but encrusted with Swarovski crystals. What? You thought designers had stopped doing that? Nah. Given that one of the prime functions of a wearable is to actually be wearable, it’s a pretty good idea too as it feminises what is otherwise quite a male-orientated product. We just hope you like your gadgets on the blingy side. And, while we’re on Samsung, we may as well finish them off for wearables by mentioning the tech megaladon’s venture into the world of virtual reality. The Samsung Gear VR is an Oculus Rift partnership which, involves not a PC to plug into but a Samsung Galaxy Note 4 or a Samsung Galaxy Note Edge. These 2560 x 1440 QHD Super AMOLED display mobile devices simply slot in, in front of the lenses, into a Micro USB dock. What you get is a split VR resolution of 1280 x 1440 for each eye. That’s with a 60Hz refresh rate and a 96 degree field of view. There’ll be over 100 apps to go with it at launch and some Bluetooth compatible headsets to complete the total immersion entertainment. All the details in our Samsung Gear VR eyes-on. Another IFA 2014 wearable all about style is the Intel MICA. Part of the company’s ‘Make it Wearable’ drive, it’s a duo of smart bands offering notifications displayed on some really rather striking black or white bracelets with OLED touchscreens. Black watersnake skin, pearls from China and Madagascan lapis stones is what you’ll find on one and white watersnake skin, tiger’s eye from South Africa, and obsidian from Russia on the other. Unsurprisingly priced at around $1,000, we should expect to all find one under the tree at Christmas. Back in the real world, Sony has updated its smartwatch range with the Android Wear-powered timepiece called the SmartWatch 3. Note the move away from Sony’s custom Android OS. The SmartWatch 3 doesn’t quite compete with Samsung’s latest efforts, and instead features a 1.6-inch 320 x 320 TFT LCD display, rather than AMOLED. That said, it’ll probably be easier to read in bright daylight. It features built-in GPS for serious running and navigation and a sedate, if kind of boring, design. Expect colourways to help spice it up. More details over on our Sony SmartWatch 3 first look review. Another one that’s going to be better for serious runners is the Epson RunSense sports watch; no messing round with the name there. It too has a built-in GPS tracker to help put you through your paces on either Android or iOS platforms. It’ll figure out distance, stride length and foot pitch too, so it’s bound to appeal to enthusiasts. There’s no built-in heart rate tracking here - unlike the Epson Pulsesense, strangely - but you can get third party straps to play nicely with it. There are three models to choose from starting at £149.99 and we have all the details over here. On sale in just a matter of days, and ready to partner its Jade smartphone buddy, is the Acer Liquid Leap. Like many of the most recent fitness band flush, it blurs the boundaries between smartwatch and tracker with a 1-inch touchscreen display. It counts your calories, watches you while you sleep and claims to help with running in some way despite missing that all-important GPS chip. What you get for sure, though, are notification alerts beamed over from your smartphone. Lots of colour available and not much to pay at £79.99 either. Alcatel is an easy brand to overlook but it too has come up with a smartwatch in time for IFA 2014 and a rather attractive looking one it is. It has the popular round-face display plus a built-in optical heart rate sensor for exercise fanatics. Of major note is that this is not an Android Wear device. The OS is something of Alcatel’s own but we’ll have to wait a little further into the project’s life to learn more about it. Still, expect music control, watch face choice and all the usuals, and all for €99 which sounds too good to be true. Let’s hope it’s not.